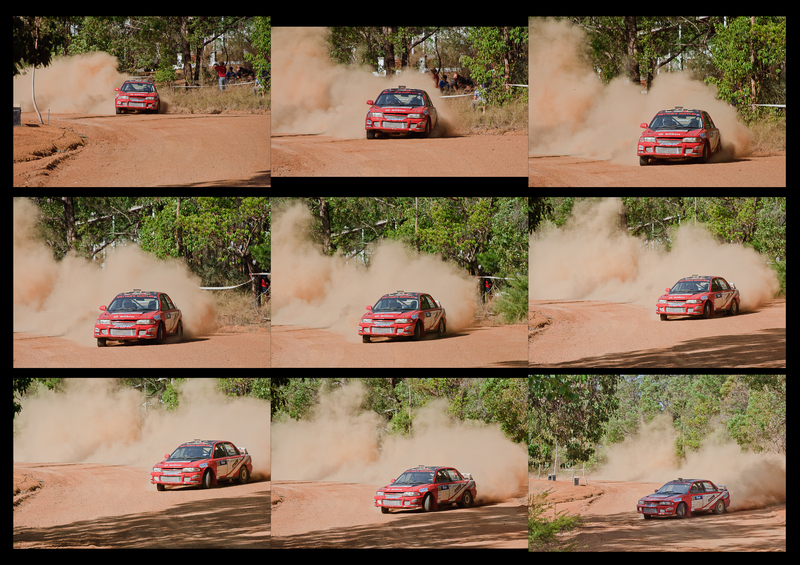 I have a few (hundred) photos from the Nannup stage of the Quit Forest Rally. At one stage I found this great position – no shooting into the sun, the cars were mostly coming towards me, so it was easy to track them, and they had just finished a RH turn,and had to negotiate a LH turn to pass in front of me- at least most of them did. This one didn’t quite do that. At this point the car was out of control, and coming my way, so I felt it was prudent to step down behind the earth bank I was standing on, So there is a slight gap in this sequence. This is the next shot. They were able to drive out of this and complete their run, but obviously lost time. At no stage was I in any danger. This entry was posted on April 16, 2011 by ianwiese. It was filed under Landscape and was tagged with cars, Nannup, Quit Forest rally, Rally.